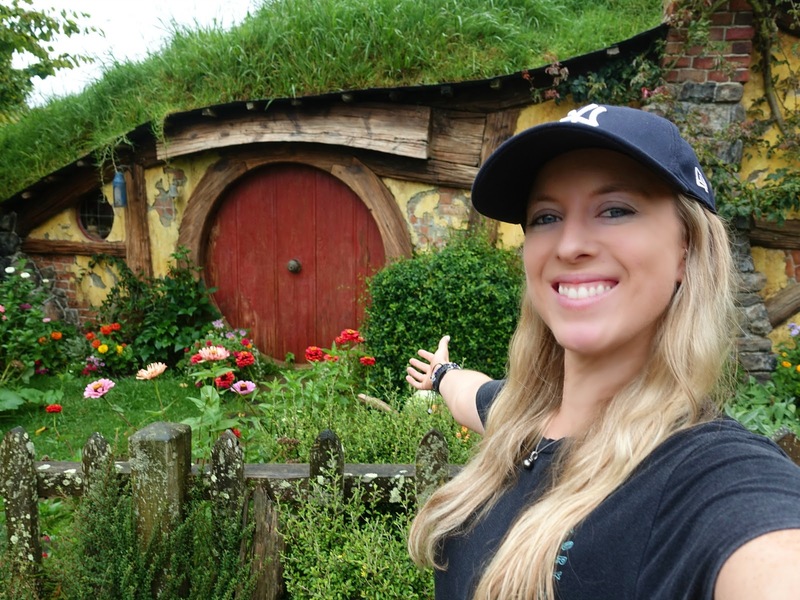 It was my birthday on the weekend and I couldn’t think of a better way to spend it than at my favourite place in New Zealand: Hobbiton! This was my second visit to the famous movie set, the first time being over five years ago, and I tell you – it was just as magical as the first time around! I know Hobbiton is on many people’s Bucket Lists when visiting New Zealand (as it rightly should be!) so here is a quick guide of what to expect and everything you need to know when visiting, accompanied by some wanderlust-inspiring photos of the set. 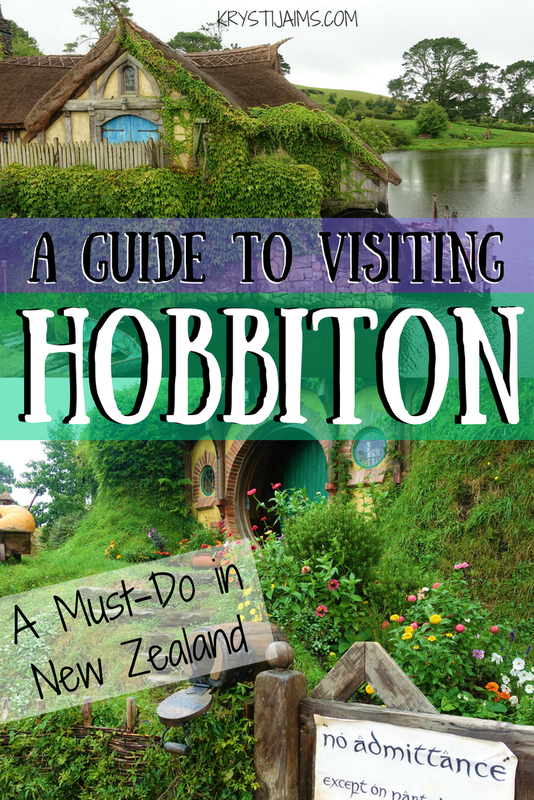 You will be shown by your expert guide around the 12-acre set; past the many Hobbit holes – all uniquely hobbit-themed with their own immaculate gardens, stopping at each one for the countless great photo opportunities, past the Party Tree, the Mill and into the world-famous Green Dragon Inn, where you can sample a complimentary and specially brewed beverage to conclude your own Middle Earth adventure. 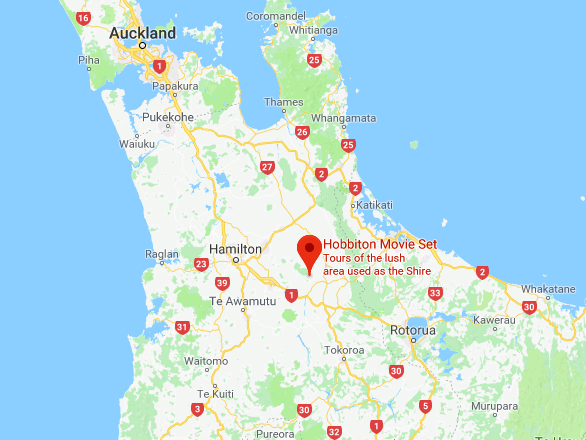 To get there from Matamata you have two options of where to be picked up for your tour – from the Matamata I-Site (information centre) in the town, or from the Shire’s Rest – about a twenty-minute drive into the countryside and very close to the set. Both sites have free parking and it is the same price to be picked up from either place. 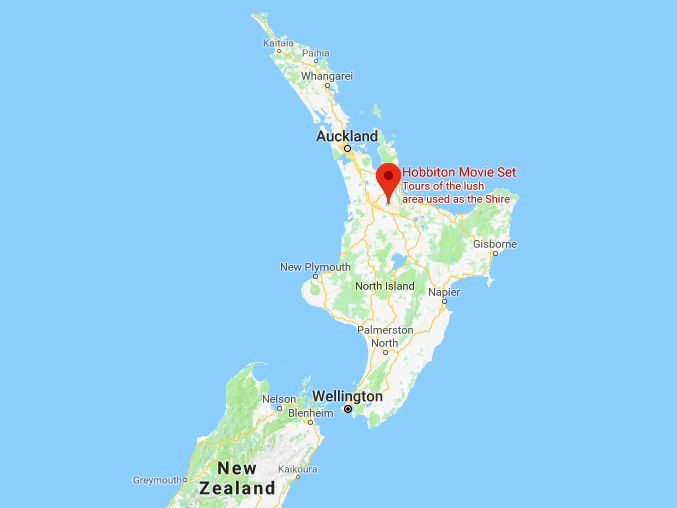 I personally prefer to be picked up from the I-Site, as you are the first to be on the comfortable coach and you can sit back and relax while listening to the bus driver’s commentary, and then watch the exclusive videos played on board with greetings by Peter Jackson himself. You learn all about the history of the set and how it came to still be there today. The bus stops at the Shire’s Rest and picks up more passengers along the way for the tour. Tours depart daily from 9 am – 3 pm, rain or shine. (If it does rain – like it did for most of my recent visit, large umbrellas are provided for you to use). 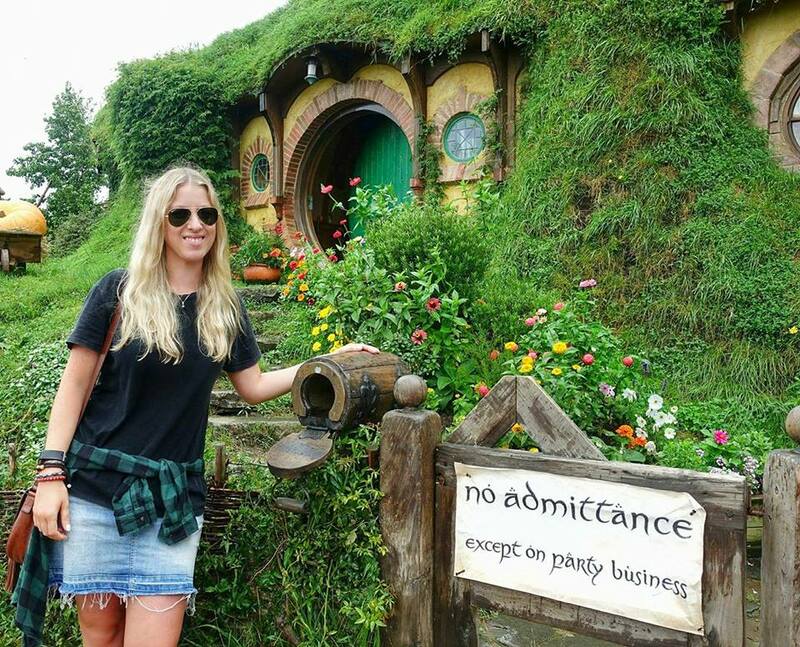 Hobbiton is one of those places that doesn’t seem real. It has been painted straight from a fantasy book and come to life before your very eyes. I’m so very proud to be a Kiwi and I highly recommend visiting even if you aren’t a fan – the location and scenery are astounding. ፨ If you’re feeling peckish at The Green Dragon you won’t be disappointed by ordering something off the menu – I had the Pork Pie and it was delicious! ፨ On a similar note – wear sunblock if you go during the warmer months – I still remember getting burnt the first time I went! (New Zealand sun is harsh). ፨ You get 15 whole minutes allocated at the end of your tour to spend in the Hobbit Store – bring some extra pennies if you wish to take home some exclusive memorabilia. 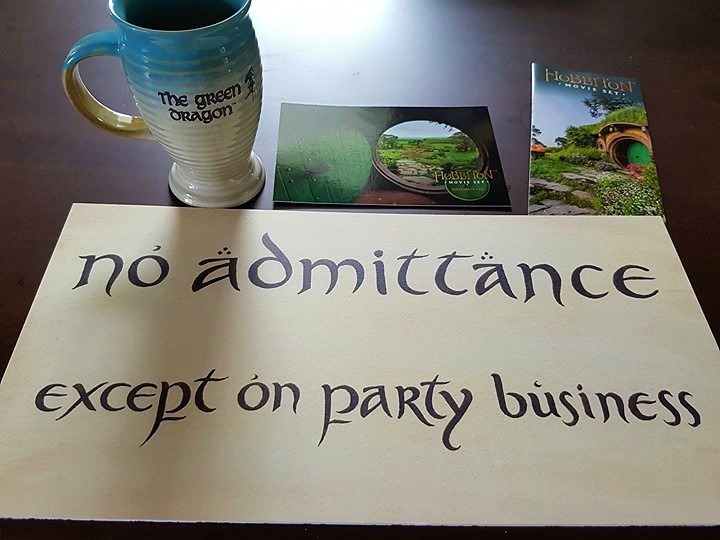 (I couldn’t resist buying my own “No admittance except on party business” sign and a special The Green Dragon mug. That is my little guide to visiting Hobbiton in New Zealand aka Middle Earth! Let me know if you have any questions below and if it’s on your Bucket List!